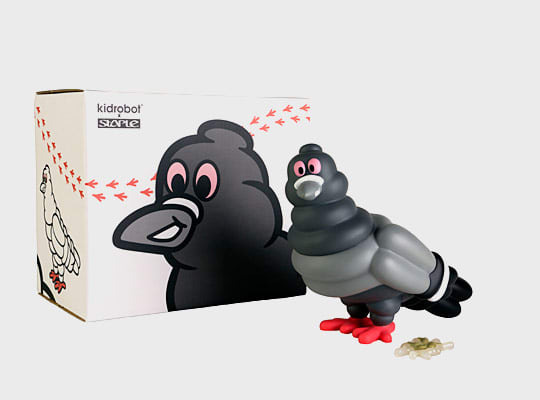 Jeff Staple and Kidrobot released photos of their new collab: a plastic rendition of Staple&apos;s pigeon mascot, with a little Michelin Man thrown in. In addition to the normal grey colorway, it appears a black version will also drop. Yes, that translucent splotch is bird poo. Toy bird poo. That&apos;s next level. The 7-inch toy is limited to 800 worldwide and drops on November 3 at Kidrobot New York and November 4 at Kidrobot Los Angeles. 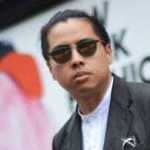 Jeff Staple will be on-hand to sign it on both days.